On the eve of Burma’s big vice presidential selections, a look at prospective picks who have been publicly tipped as possible candidates. RANGOON — On Thursday, Parliament’s Lower and Upper houses, along with military representatives in the legislature, will nominate three vice presidents who will then be put to a vote at the Union Parliament to determine who will serve as the country’s next president. The National League for Democracy (NLD) has the necessary majorities required to select two of these three vice presidents, and again has the votes to ensure that its choice takes up residence in the Presidential Palace thereafter. On the eve of the big day, The Irrawaddy provides a look at prospective picks who have been publicly tipped as possible candidates, along with their short biographies. The 65-year-old Lower House lawmaker from Rangoon’s Dagon Myothit (Seikkan) constituency is among those members of the NLD who have been tipped as possible presidential nominees. Trained as a medical doctor, Myo Aung served as an army physician from 1985 to 1988 in Burma’s Ministry of Defense. But he was ordered to quit from the position due to his involvement in political activities. He became a member of the NLD in 1996 and was thrown in prison several times under military rule. 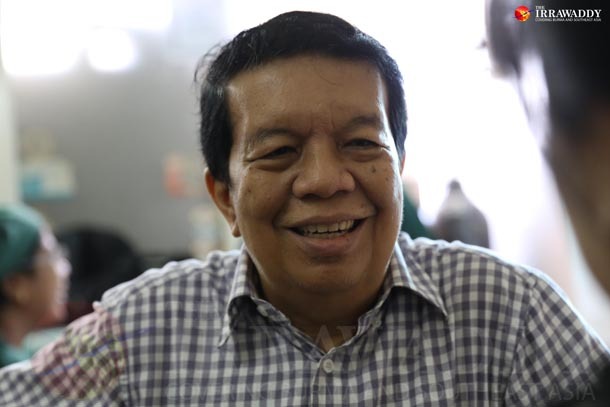 He was elected to a Lower House seat in Burma’s 2012 by-election and serves on the NLD’s central executive committee, as well as on the NLD team formed to work with the government on matters pertaining to the power handover due in about three weeks’ time. Sai Nyunt Lwin, February 2016. 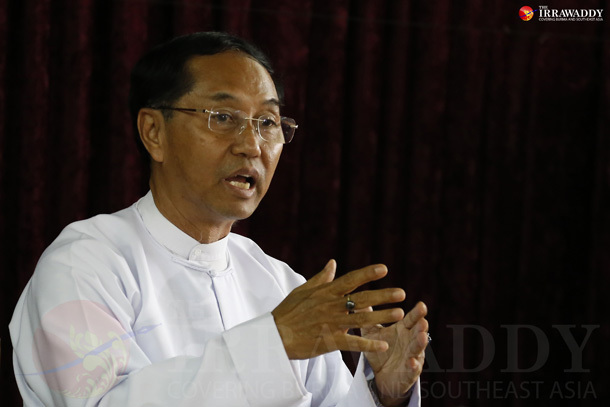 Sai Nyunt Lwin, the general secretary of the Shan Nationalities League for Democracy (SNLD), is a Shan ethnic now tipped as a potential choice for a vice president post. The SNLD shunned Burma’s 2010 general election along with the NLD, and among ethnic parties was the second-biggest winner in last year’s vote, trailing only the Arakan National Party. The 65-year-old is a former political prisoner who was released in January 2012, after being held for seven years. He had been sentenced to 85 years’ imprisonment in February 2005 for holding a private meeting with senior Shan leaders and was charged with high treason, along with 11 others. He would appear to be the SNLD’s most likely candidate for a vice presidential slot if the NLD should offer one to the Shan party. The daughter of Khun Htun Oo, the SNLD chairman whose ties to Suu Kyi go back decades, holds Australian citizenship, rendering the party leader ineligible under the Constitution. General Thura Tin Oo . NLD patron Tin Oo is a former general and ex-commander-in-chief of the Burmese military. 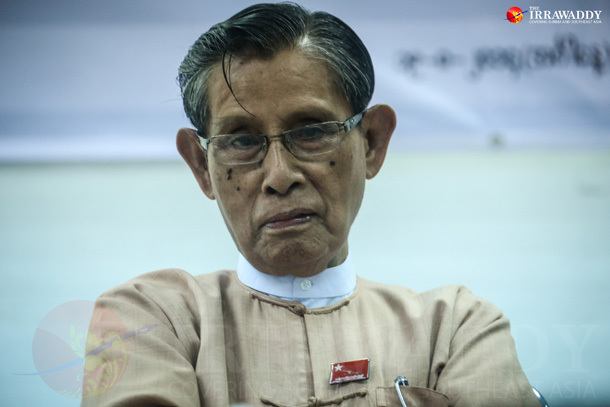 Following the NLD’s victory in the election last year, the 89-year-old made it to the top of speculation rosters, given his military background and long-time senior role within the party. For his part, however, Tin Oo has said he can’t take the position, citing his advanced age. He was put under house arrest in 2004 by the former military government and released in 2010. 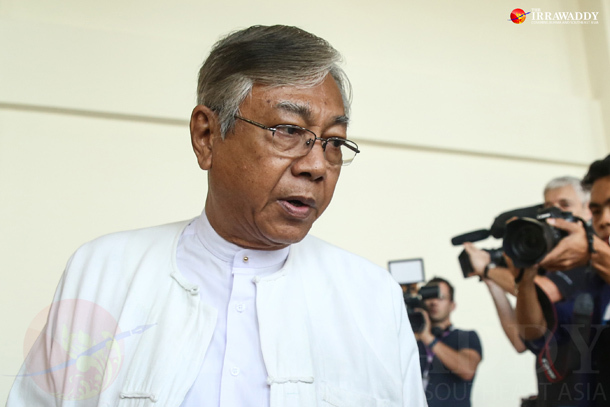 A senior executive with a Suu Kyi-led foundation, Htin Kyaw has also been thought to be among potential candidates for one of the two VP posts since the NLD’s election victory. The 70-year-old Mon-Burmese is believed to be one of Suu Kyi’s right-hand men; within the NLD, he has built a reputation as a man of honesty. The Oxford graduate is the son-in-law of U Lwin, one of the NLD’s cofounders. 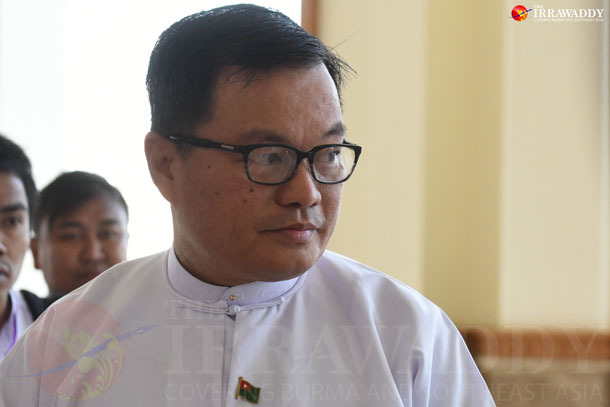 His wife Su Su Lwin is a newly minted Lower House NLD lawmaker who was recently appointed as chairperson for that chamber’s International Relations Committee. Suu Kyi’s personal physician, and former political prisoner. Tin Myo Win is working as a surgeon at the Muslim Free Hospital in Rangoon since his release in 1992. He is one of the few people permitted to regularly visit Suu Kyi during er house arrest. 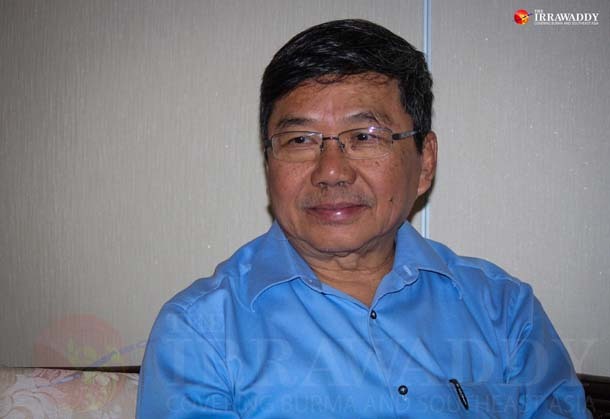 The 65-year old is the chairman of NLD’s National Health Network. Myint Swe, a former lieutenant-general and Rangoon Division’s current chief minister, is rumored very recently to be the military’s likely vice president pick, and is known as a member of the brass close to the former dictator Snr-Gen Than Shwe. He graduated from the Defense Services Academy (DSA) 15th intake, four intakes senior to current military chief Snr-Gen Min Aung Hlaing. He is believed to have been behind the crackdown in 2007 on peaceful protestors in Rangoon, a movement that was led by Buddhist monks and came to be known as the Saffron Revolution. In 2014, he faced criticism over opaque tendering for a planned expansion of Rangoon. 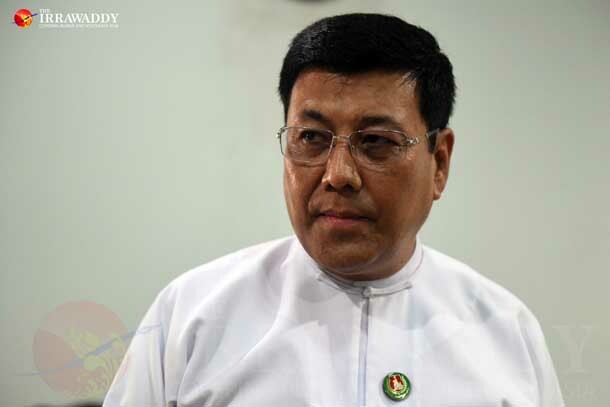 The former Burma Navy commander-in-chief resigned from his post in 2015 to contest the general election under the Union Solidarity and Development Party (USDP) banner at the constituency of Coco Islands, which is largely populated by naval personnel, civil servants and there families. He won that seat. The 56-year-old was criticized for having gained unfair electoral advantage by making trips to the island by military boat and aircraft while opponents were prevented from traveling to the constituency during much of the election’s campaign period. Until Myint Swe was recently tipped for the military’s vice presidential post, Commander-in-chief (Air Force) and special operations coordinator (Army, Navy and Air Force) Gen. Khin Aung Myint was a popular pick among prognosticators. The DSA 20th Intake graduate was thought to be on top of the list because the current military-backed vice president, Nyan Tun, is retired Navy, making an Air Force successor likely. He is junior to Min Aung Hlaing, a fact also put forward by some who believe he will get the nod. 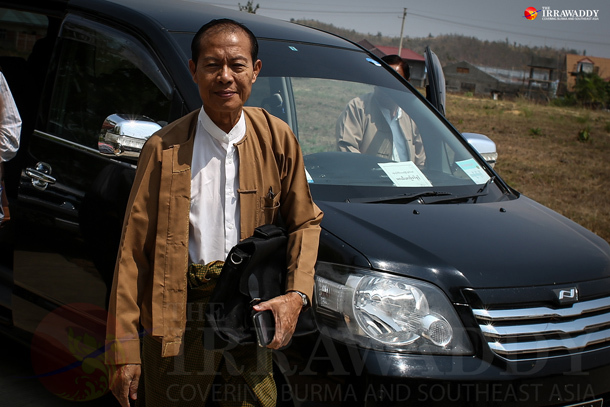 A general turned Lower House lawmaker, Hla Htay Win was former chief of staff of the Burma Army, Navy and Air Force. Despite his electoral victory in the military stronghold of Naypyidaw’s Zayarthiri Township in the 2015 election, he was accused of making massive donations to his constituency in an attempt to curry voters’ favor in the weeks leading up to the campaign period. The 60-year-old former general served as the regional commander of the Rangoon Division Military Command.